Crowdfunding publishing platform Inkshares reveals data about where its readers come from, with Facebook and email marketing leading the way. 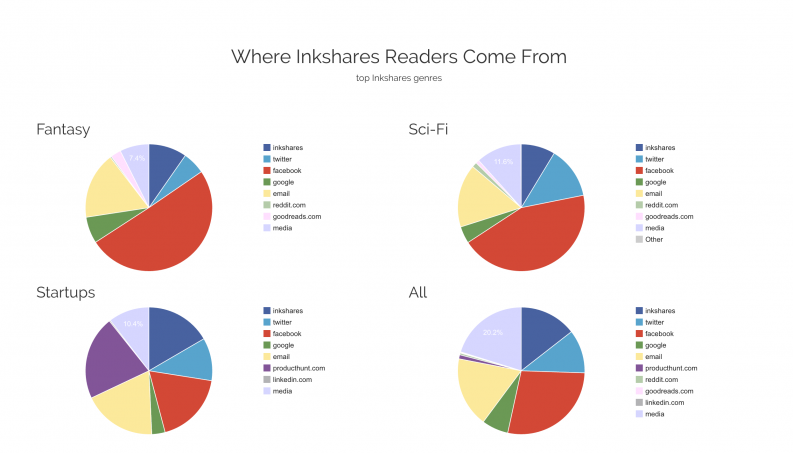 Inkshares is a publishing platform that combines the mechanics of crowdfunding and traditional publishing. Authors submit book ideas and readers “follow books,” offer ideas and support them with pre-publication sales. Once a book hits its goal, Inkshares publishes. Under the model, authors are paid 50% of gross revenue for print sales and 70% for ebook sales. The company, which has been in operation for a year, now has some 1,700 book projects on its site, it has funded nearly 50, has sold 50,000 copies of various titles, and has paid out more than $100,00o royalties. 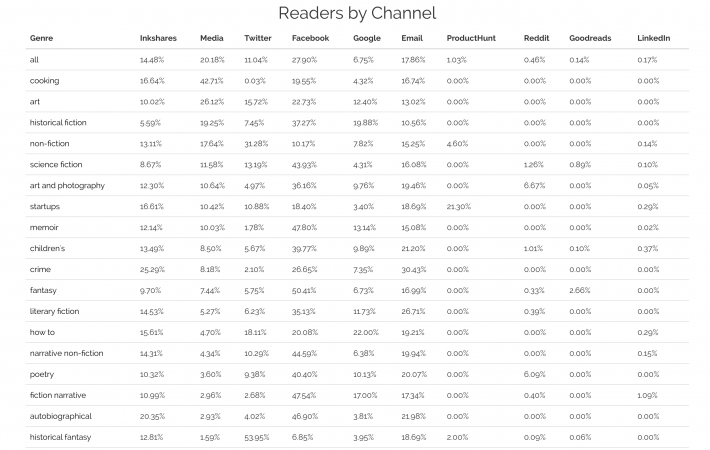 The company has now shared some of its key data, including where readers are coming from and their preferred genres. 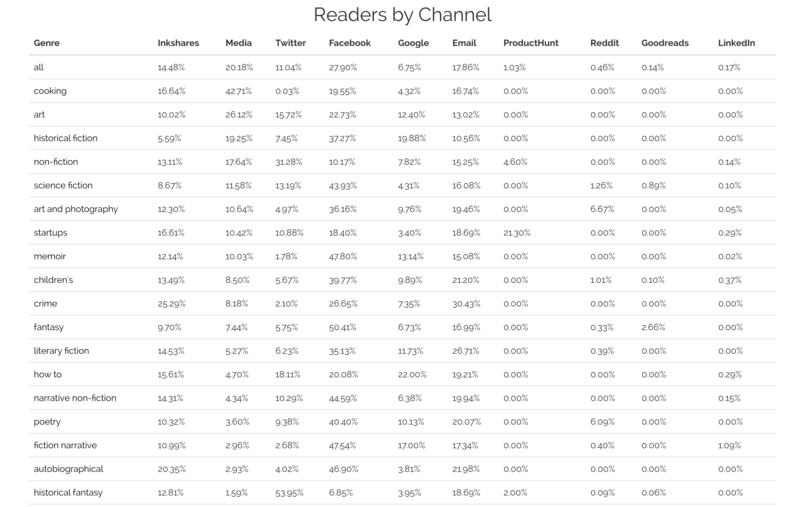 In most cases, Facebook and email perform best, though in the “startup category”, a website called Producthunt.com is also proving very successful in attracting readers.